INTERPHEX is the largest specialised exhibition of production technologies, specialized equipment and appliances and laboratory equipment for pharmaceutical industry in the USA. It is possible to meet there the representatives of all the important pharmaceutical companies, technology designers, local resellers and many employees from the field of laboratories, as significant part of the equipment offered may also be used in laboratories and so they extend the spectrum of the exhibition. 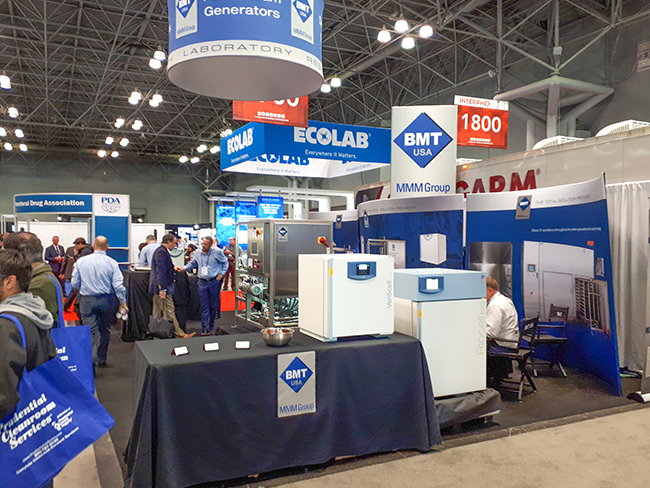 Even this year, this important event was held in the premises of the Jacob Javits exhibition centre, New York, with participation of approximately 400 exhibitors and the event optically seemed to be much bigger than in the previous year. 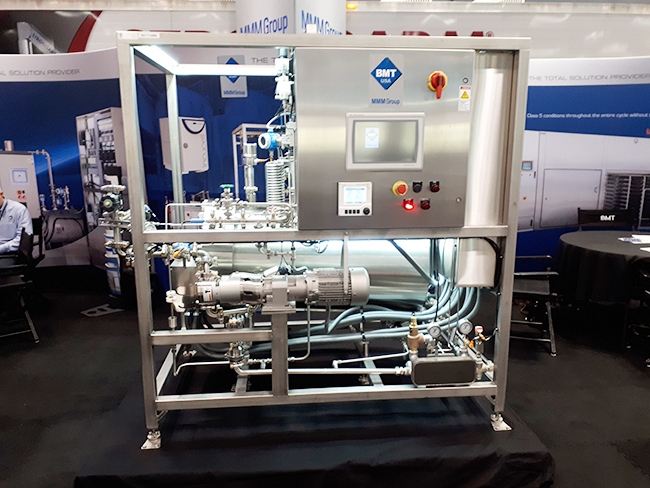 This year, the invitation to visit our stand was connected with fresh-made and very popular chocolate „Cookies“ made in the VENTICELL® 22 device and a cup of coffee for our clients, while the main exhibit was the electrically-heated generator of super-clean steam for pharmaceutical industry, with the generator vessel developed and manufactured in our company. The own product of BMT USA, LLC has already been successfully implemented in American market in various sizes and with steam or electric heating. The clients evaluate it highly positively and it attracted permanent attention of visitors to our stand. Together with this exhibit, the visitors had also chance to take up with the devices Climacell® EVO 222 with LED lighting for long-term stability tests, the new Venticell® ECO 55 and Venticell® ECO 22. It is a pleasure to repeat this year once again that along with continuous activation of economics in the USA and compared to the previous year, there again increased the number of potential clients with a clear idea of their future needs, which provides us with better chances for future success. Together with many clients from the USA, our stand visited even potential clients from e.g. Canada, Mexico, Puerto Rico, Egypt, Haiti or Argentina. We were also visited by our most successful dealer in china, Mr. David Chen, director of the company ALIT, China, selling our heating technologies for several years, together with large quantities of steam sterilizers for laboratories and pharmaceutical companies. We started current year in Chinese market in a very successful way again, the first Sterivap® HP IL devices have already been dispatched to new clients. We have discussed many new projects planned for this year, including supply of other three pieces of large-volume steam sterilizers manufactured by BMT USA, LLC. We have received the an order for the first of the discussed projects for Chinese market as soon as one week after the exhibition termination.